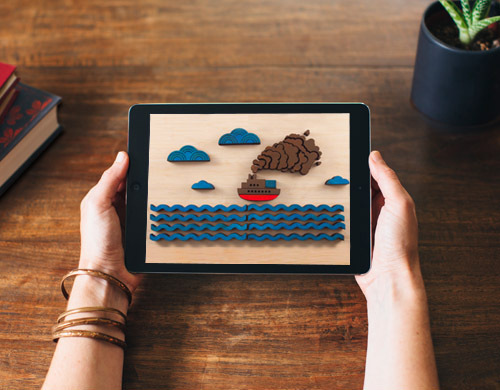 Our team created an intro video featuring wood block stop animation for an Indiegogo campaign for MTRL Design. I worked to cut the script down from a very long first draft to less than three minutes, and consulted with MTRL to identify the most important points of the message. I also worked with the production team on concepting the most effective ways to visually communicate the main message throughout the video.